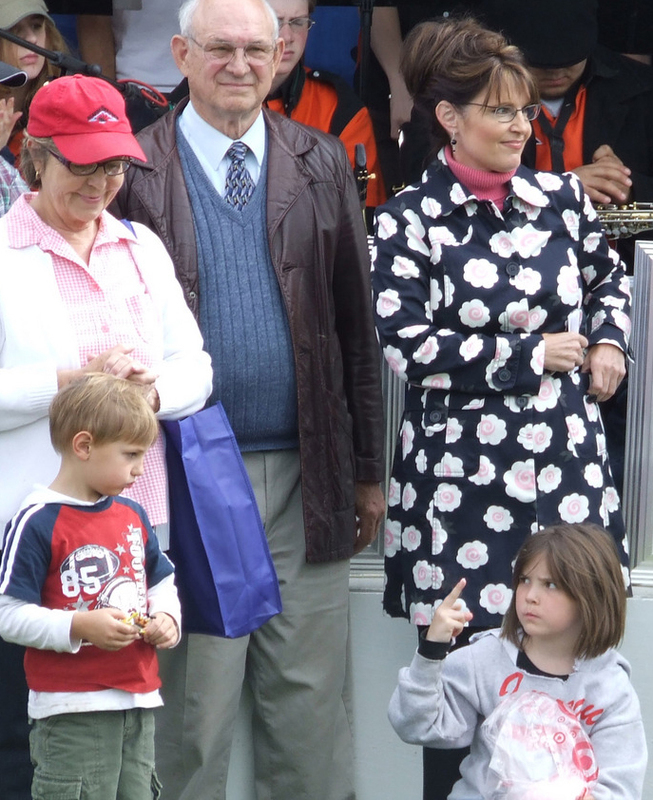 « His parent’s must have thought this was funny…..
Look at that Alaska high fashion statement for Sarah! WOW! It is cute to see a future women rights activist flip off a little boy! You go girl, your sisters support your right to tell “the man” up yours!